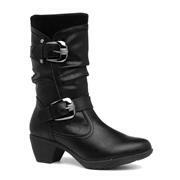 Calf boots are taller than ankle boots but not as tall as knee high boots. They usually sit just below or halfway up the calf. Being everything in between the ankle and knee, they’re a versatile ladies' boots choice that’s both stylish and practical for autumn and winter. 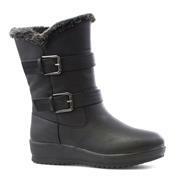 The mid-calf boot is perhaps the most popular, giving you room to move if you have wider calves but still offering the appearance and warmth of a longer boot. 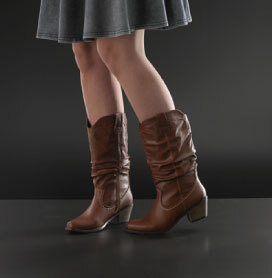 Our collection of women’s calf-length boots includes styles from brands like Lotus and Heavenly Feet, as well as wide calf boots from Comfort Plus. You’ll find black, brown and tan, leather and suede looks, cosy fur collars, cowboy boots and gorgeous buckle details. 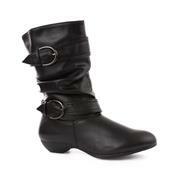 Whether you prefer flat, wedge or high heeled calf boots there’s a style to suit you in our varied selection. 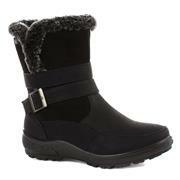 This winter get your hands on some cheap women’s boots to boost your style and save some money. There’s plenty more where these came from in our women's shoes section. We have lots of different styles of boots from Chelsea boots to lace up boots if you’re looking for stylish transition footwear. Or check out our lines of heels, wedges, trainers, court shoes, slippers and more. We always have special deals and select offers available, so you can save money on your purchase. All this comes with our usual cheap prices and free delivery for online orders, helping you shop with confidence and stay on budget! 38 products from £12.99 to £59.99.